David R. Engle-Appraisal Network. Appraiser for Broken Arrow and Tulsa. 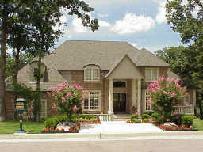 Residential Real Estate Appraisals serving the following Oklahoma counties. Tulsa, Wagoner, Creek, Muskogee, Okmulgee, Rogers, Mayes, Osage and Washington counties. Certified Residential Real Estate Appraiser. 18 years Residential Real Estate sales, former mortgage banker and underwriter. Single Family 1004, FHA, 2-4 family, Rural, Income producing properties, REO and Field Review appraisals. 3 day turn time from acceptance. Rush orders welcome.